From 20-22 September 2018, Understanding Violent Conflict program director Dr. Tatiana Carayannis participated in the 2nd Annual Asia-Africa Conference, ‘Africa-Asia, a New Axis of Knowledge’ held in Dar Es Salaam, Tanzania. Building on the multiple encounters, interactions and dialogues initiated at the 1st Africa-Asia Conference (Accra, Ghana, 2015), sought to rethink the methodologies and knowledge practices through which we understand Africa in Asia and Asia in Africa, and beyond, Africa, Asia and other world regions as ‘fields of studies’. The conference brought together scholars, artists, intellectuals and educators based in Africa and Asia as well as across the world to think both comparatively and holistically about the challenges and possibilities of cross-continental and trans-regional encounters, given the simultaneously unfolding histories connecting Africa and Asia. Organized by University of Dar Es Salaam, and the International Convention of Asia Scholars based at Leiden University in the Netherlands, the Conference was held in partnership with the Social Science Research Council and the University of Michigan. 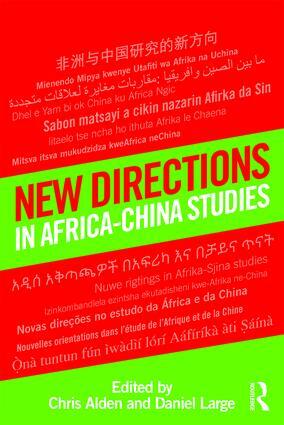 At the conference, Dr. Carayannis moderated a panel presenting Routledge’s newest publication: New Directions in the Study of Africa and China. Edited by Chris Alden and Daniel Large this new book grows out of the Henry Luce Foundation-funded work of the UVC’s China-Africa Knowledge Project.